Karishma Kaushik is a recipient of the Ramalingaswami Re-entry Fellowship, Department of Biotechnology (DBT), Government of India. In this article, she writes about her experience of returning to India to establish her independent research group after several years in the US, and shares some advice for others planning the move. Needless to say, I raised a lot of eyebrows (and questions) from colleagues and friends when I shared my decision to move back to India to start my independent research career. 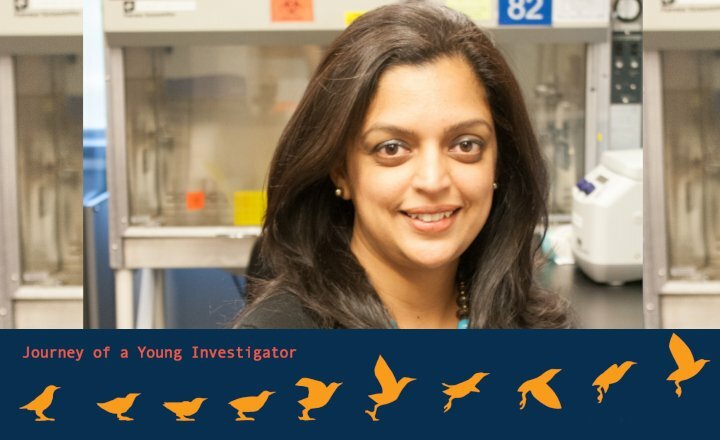 A physician-scientist, I had completed my MBBS and MD in Clinical Microbiology in India, and moved to the US to pursue a PhD in Molecular Genetics and Microbiology at the University of Texas at Austin. After almost 15 years of formal education, I had the requisite degrees, skill sets and training to steer my own research group. My research vision focused on using interdisciplinary approaches to study microbial infections, thereby bridging the gap between the laboratory bench and clinical bedside. For this, India, with its vast array of infectious agents, reservoir of clinical material, and my accreditation as a medical doctor, presented exciting prospects. Further, I received the prestigious Ramalingaswami Re-entry fellowship from the Department of Biotechnology, Government of India, which would fund my research interests in India for five years. 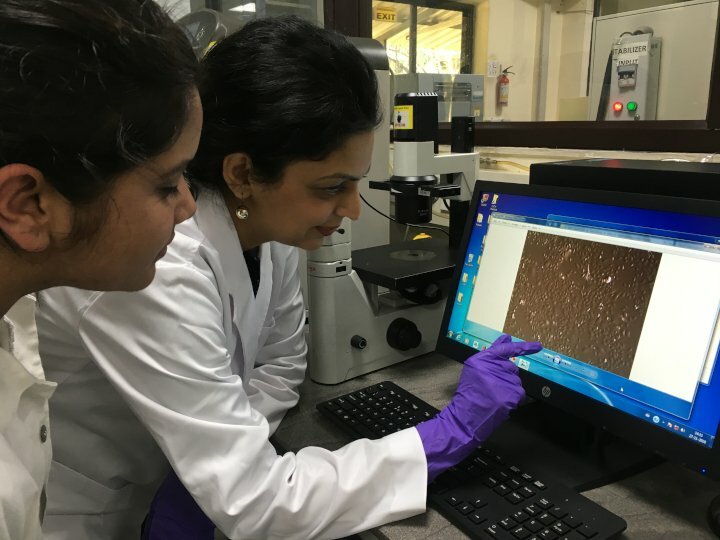 I moved back to India early this year and activated my Ramalingaswami fellowship at a DSIR-recognized R&D laboratory, GenePath Dx, in Pune, engaged in cutting-edge molecular diagnostics for a range of conditions, including infectious diseases. Through the grant, I have established my independent research group, The Wound Infection Lab, that employs laboratory and clinical approaches towards the study of wound infections. This ranges from developing a human-relevant wound infection model system to the long-term characterisation of microbial populations from patients with chronic wound infections. In addition to this, after several years in academic research and teaching, I have the opportunity to work at the interface of clinical diagnostics and patient care. I am also leading the development of innovative diagnostic solutions for infectious conditions relevant to India. Through a combination of events, both planned and fortuitous, my return to India has enabled my professional profile to include a rare combination of academic research, clinical diagnostics, and biotechnology invention. This is a very unique opportunity to contribute to different aspects of Indian science, which includes advancing the frontiers of original research, impacting the lives of individual patients’, and innovating mass scale solutions for infectious diseases in India. I am certain that there are several other young Indian scientists looking to return to India and establish themselves as independent investigators. Having transitioned the early stages of this path, I am encouraged to share some initial thoughts that could possibly facilitate others on a similar journey. Network, by all ‘means’: Incredible as it may sound, my return to India was consolidated by a connection on Facebook. I came across a public outreach group, The LOFT Forum, which hosted events on a range of topics for community awareness. On my next visit to India, I spoke at the forum on the implications of antibiotic resistance. It was not only a great way to re-establish connections back home, but the forum introduced me to scientists at GenePath Dx, Pune. Till this time, the possibility of activating my fellowship at an organization other than a large-scale university or institute was not known to me. For returning researchers, this underlines the significance of leveraging virtual, albeit unconventional, avenues of networking, especially since they are likely not to be physically present in India. Further, it is important to assess the option of working at small R&D facilities, and beyond conventional research set-ups. A niche R&D organization might prove to be a closer fit to one’s area of expertise, and large academic institutions are often inundated and back-logged with numerous applications from potential returning scientists. Go ‘local’: A few weeks into my return, a colleague invited me to speak at a Students’ Microbiology Association inaugural event at an undergraduate college. Starting with this, I continue to volunteer to share my research interests at college events, meet potential collaborators, as well as attend local workshops, conferences and seminars. Through these opportunities, I was fortunate to meet some highly motivated and young researchers, and can lightheartedly say that I impressed them enough for them to join my research group. Though not necessarily intended to be so, reaching out to different scientific communities enabled the expansion of my research group with high-quality local talent. Think ‘out of the lab box’: As returning scientists, we have often worked in very well-equipped international laboratories. For example, I worked in a laboratory in the US which had in-house capabilities for confocal microscopy, microengineering, microfluidics, nanofabrication, in addition to cell culture, microbial culture, and even advanced bioinformatics. Moving back on a start-up grant, it is financially inconceivable to establish this gamut of instrumentation all at once. Instead, one can look for solutions that do not involve building massive infrastructure for each project component. For example, India has some excellent engineering institutes and biotech companies with capabilities to develop microfluidic devices. I found it a viable option to leverage the expertise and resources of an engineering firm dedicated to building such platforms. This way, even though I may have the requisite microengineering skill sets, I can focus on the real science in my research, which is to study certain biological phenomena on these platforms. Young advisor, seek advice-givers: A huge facilitator on this return path has been the guidance and recommendations from senior scientists, professors, and heads of institutions. I have been fortunate to have advice from these experienced individuals an email click away, and their suggestions have been invaluable in setting up my research, looking for funding options, and seeking out forums and conventions that cater to young investigators. The big takeaway from this is that a young scientist does not have to walk this early, uncharted path alone. Most established faculty in Indian institutes would be happy to share their experiences with young faculty, and this is a great way to build a mentorship network. Re-discovering the scientist within: I was pleasantly surprised that moving back to my home country would uncover a range of scientific opportunities beyond traditional research. Through affiliations with GenePath Dx and NCL-Venture Center, I was exposed to a new wave of biotech start-ups and innovation in the Indian science scene, while I discovered a personal interest in public and science policy. In fact, there are several universities with courses and programs catering to train the new breed of science policymakers. While these paths obviously exist in the US and elsewhere, often immigration and bureaucratic issues restrict us from fully exploring them. Interestingly, my interaction with policymakers has enabled a behind the scenes look at healthcare strategies and science funding, while exploring entrepreneurship has made me understand the needs and challenges of taking academic research forwards to the bedside and clinic. A few months into this journey, it has been a very exciting and dynamic transition albeit with a steep learning curve. To others pondering a similar situation, I can say that while it may be daunting, it is a privilege to be a part of India’s story to transform the country’s ‘brain drain’ into ‘brain circulation’. The process will be a professionally and personally rewarding experience, and will greatly expand your competencies, experiences, and scientific vision. As I responded to colleagues and friends sceptical of my plans to return, ‘I have lived the proverbial American dream, it’s now time to shape the emerging Indian dream’. Please let us know your views on this article in the comments below.